The cat allergy typically occurs with sneezing, runny nose, watery eyes, itchy eyes, in the most serious crisis with asthma. Many are adults but also children suffer from these symptoms, but most of all there are so many people who suffer doubly, because love cats and have to stay away from them. All of us think it's the cat's fur to trigger the allergy. Instead, the allergic reaction is triggered by a protein called Fel D1, which is produced by the cat's saliva. The cat licking leaves the protein on coat, when the hair dries it evaporates into the air and getting in touch with the classic allergic triggers causes allergic reactions. 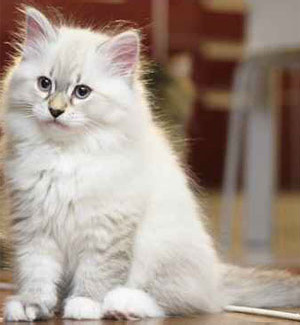 The Siberian cat is a breed that triggers allergic reactions very rarely because his saliva produces a lower amount of protein Fel D1, compared to other breeds of cats. 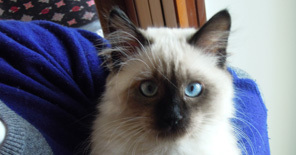 The common cat produces about 63,000 micrograms of FelD1, however it is estimated that the female Siberian Cat produces about 200 micrograms per gram FelD1. 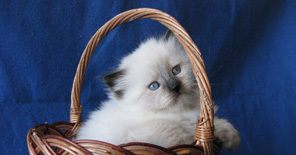 Therefore 70-90% of people allergic to the cat will be able to live with a Siberian cat. So, the Siberian cat has a much lower production of FelD1 than the common cat, neutral females have even less than the males. 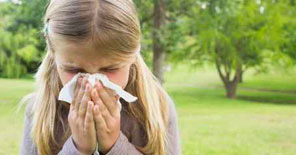 Hypoallergenic does not mean no allergenic, in fact, a small part of the protein is still produced, but being in an amount less concentrated, you will have allergic reactions only in ultra sensitive individuals. There is therefore no certainty that the total Siberian cat is always tolerated by people with allergies. Everyone must face the tests of short living on the cattery before being certain of being able to buy a cat for life. 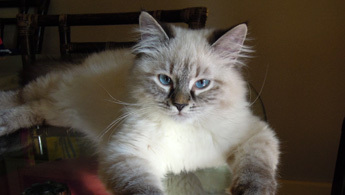 It is very important to choose a pure Siberian cat with pedigree otherwise you will lose this quality.